One of the greatest advancements in the field of surgical medicine is undoubtedly the laparoscopic technique. At Ogden Clinic in Utah, Dr. Amber Bradshaw-Whitear can perform laparoscopic surgical procedures for patients in Layton, Kaysville, Syracuse, Hooper, Brigham City, Bountiful, and surrounding communities. Sometimes called minimally invasive surgery (MIS), this is a modern process in which operations are performed through small incisions made in the abdominal wall. 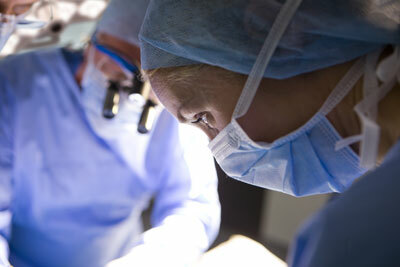 At Ogden Clinic, Dr. Amber Bradshaw-Whitear can perform a laparoscopic surgery for numerous procedures. It involves the use of several thin surgical instruments, assisted by a light and camera system, giving the surgeon maximum visibility and control. As a gynecologist, Dr. Amber Bradshaw-Whitear specializes in pelvic surgery procedures for patients in Layton, Kaysville, Syracuse, Hooper, Brigham City, Bountiful, and surrounding communities, such as laparoscopic hysterectomy and myomectomy. During a laparoscopic hysterectomy at Ogden Clinic, for example, thin incisions are placed strategically in the targeted area for access to uterus for removal with high-tech instrumentation. Uterus removal surgery in Ogden from Dr. Amber Bradshaw-Whitear is performed via video camera image, which offers a high-definition view of the internal structures, often better than a traditional open surgery! Many gynecological surgeries, including uterus removal via laparoscopic hysterectomy at Ogden Clinic in Utah, can be accomplished through laparoscopic, or minimally invasive surgery, from Dr. Amber Bradshaw-Whitear. In the field of minimally invasive abdominal surgery, the da Vinci system stands out above the rest. Ogden Clinic’s Dr. Amber Bradshaw-Whitear is excited to offer this advanced form of robotic surgery to the Ogden community and beyond. 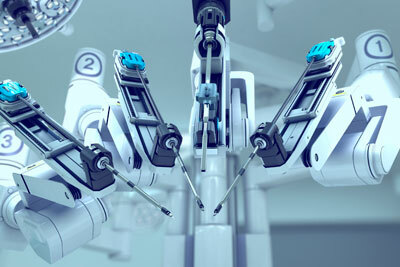 This high-tech robotic surgery system uses robotic arms, which respond to the surgeon’s movements, carrying out surgical functions in a precise and targeted way. A type of laparoscopic surgery, Dr. Bradshaw-Whitear performs da Vinci robotic surgery at Ogden Clinic with only a few small incisions in the patient’s abdominal wall. This robotic surgery procedure has been successfully used in thousands of operations across Utah and the southwest. Dr. Bradshaw-Whitear uses robotic-assisted technology for procedures that are very intricate or surrounded by organs and delicate tissue. To learn more about laparoscopic surgery, or minimally invasive surgery, including hysterectomies, contact Ogden Clinic in Utah today.